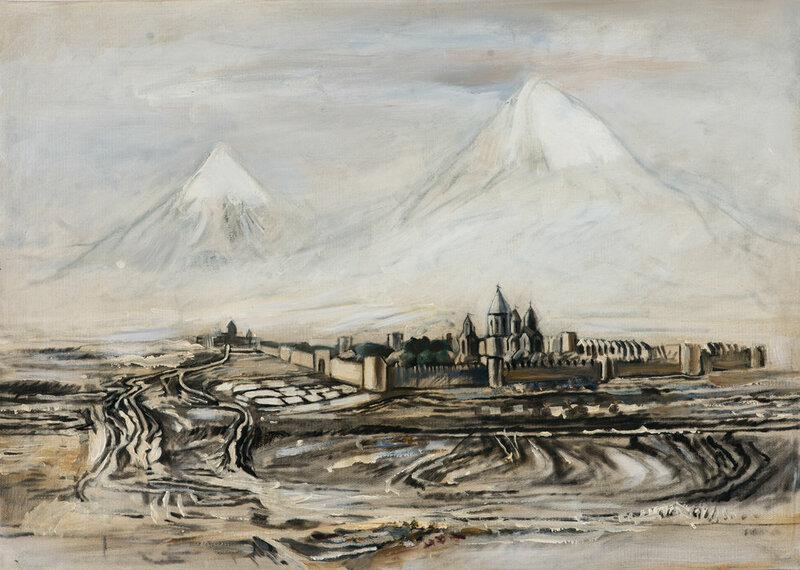 Ani was an ancient fortress that became a famous city during the Bagratuni period, and in 961 was proclaimed the capital of the Bagratid Armenian Kingdom. Ani was surrounded by powerful two-layered walls named Ashotashen and Smbatashen, while in the center of the town was a Citadel. Ani is known as the “city of one thousand and one churches,” the most famous of which was the Cathedral - the seat of the Catholicos. The Silk Road was one of the most important trade routes in the Middle Ages, linking China and India to the West. Ani, which lay on that road, became a thriving city where merchants from different parts of the world would meet to trade. Ani was abandoned after an earthquake in 1319, but its ruins tell a captivating story. Ani Armenians set up communities outside the homeland – in the Crimea, the Balkan Peninsula, Poland, and elsewhere. According to tradition, the name Jugha (Julfa) represents a branch of Ani, and hence Jugha was also referred to as New Ani. Built between 301 and 303, Etchmiadzin is considered the oldest cathedral in the world and today serves as the Catholicosate and main administrative headquarters of the Armenian Apostolic Church. According to Agathangelos, the historiographer and secretary of King Tiridates III of Armenia, St. Gregory the Illuminator, Armenia’s Patron Saint and first official head of the Armenian Church, founded the Cathedral of Holy Etchmiadzin. That occurred after he had a vision of Christ striking the ground with a golden hammer at the pagan temple of Spandaramet, the guardian spirit of the land. King Tiridates III was the first King ever to adopt Christianity as a state religion. In the Middle Ages, Etchmiadzin was rebuilt to resemble the two peaks of Mount Ararat: Sis and Masis. Legend has it that Noah’s descent in the ark to these peaks inspired medieval Armenian merchants to fearlessly travel the seas in search of salvation, looking to the Armenian Church for protection on their adventures. In the 15th century a group of Khodjas or Eastern international merchants, was formed in Jugha (Julfa), Agulis and nearby towns. These merchants were responsible for extending Armenian international trade. The Armenians transported Chinese and Persian silk via Astrakhan and Russian Arkhangelsk to the Netherlands and England, and through the Aegean ports to Italy and France. The inhabitants of Jugha were proud of their city, and claimed it was more beautiful and wealthy than Paris. In 1603 Shah Abbas I of Iran was the guest of Khodja Khachik, who hosted him in the city for three days. The Shah and his retinue approached the city in the evening, and were impressed by the 30,000 lanterns that burned throughout the city, turning night into day. Beautiful hand-knit rugs and expensive silks were laid along the path from the river bank up to Khodja Khachik’s house and Khodja Khachik presented the Shah with gold in a golden platter. In 1605 Shah Abbas deported the residents of the Arax valley, including Jugha, to his new capital, Isfahan, thus enriching his empire with businessmen, skilled craftsmen and industrious peasants. Jugha was destroyed and burned twice so that its residents would not return. The glorious history of Nor Jugha (New Julfa) began with the destruction of Jugha. 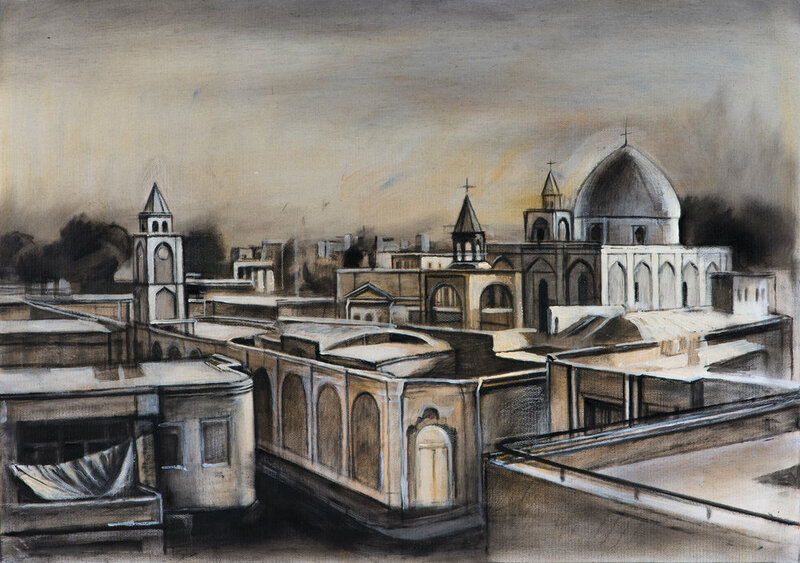 The Armenian city of Nor Jugha (New Julfa) emerged out of Shah Abbas’ campaign in the early 1600s to deport Armenians from Jugha (Julfa), near the Arax River in the heart of historic Armenian lands, to his new capital of Isfahan. There they settled in an area which became known as New Julfa. New Julfa quickly emerged as a new Armenian city. Its main avenue Nazar Khiavan, named after the city’s first Kalantar (mayor) Nazar, stretches East to West and housed Armenian shops and workshops. Ten straight and wide streets stretched along the River Zayande to the south, crossing Nazar’s Avenue and forming twenty independent districts. New Julfa was covered with beautiful gardens and the Armenians built 13 churches in the city. 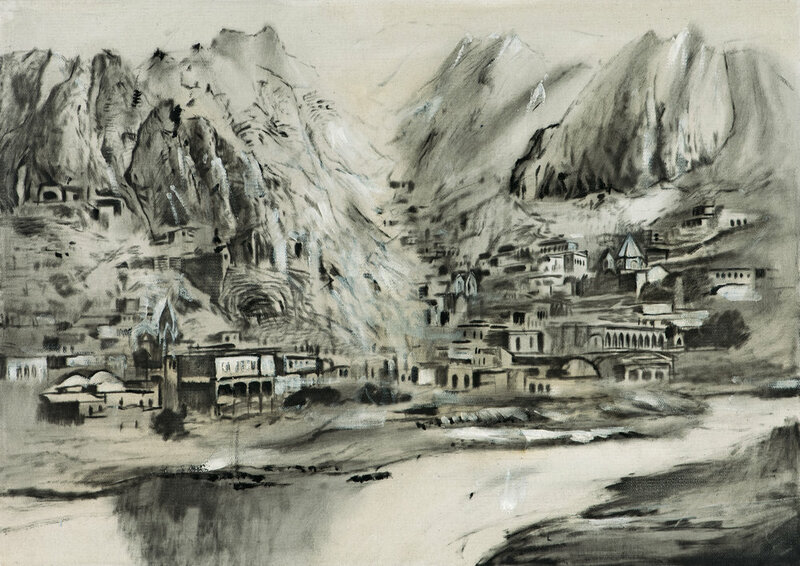 By 1620 New Julfa was the center of Iranian trade and had 30,000 inhabitants. Shah Abbas handed the Armenians the monopoly on Iranian raw silk export. Armenian merchants’ agents, in addition to their commercial activities, often provided intelligence, translations and diplomatic services for the Shah. A new type of Armenian was formed in New Julfa, who should be called the “sea-Armenian”. These Armenian merchants took to the sea and became valiant seafarers, first establishing themselves in prominent port cities in India and then in the Far East.